Vision Engineering Consultants is looking inquiries for DGPS on rent fromDelhi, East Delhi, South Delhi, Delhi NCR, Gurgaon, Faridabad, Lucknow, Kanpur, Varanasi, Jaipur, Jodhpur, Ajmer,Bawal, ballabhgarh, imt manesar, kotputli, sonepat, kundali, bahadurgarh, greater noida, ghaziabad, yamunanagar,Panipat, ambala, jammu & Kashmir, indoor, Bhopal, Raipur, mohali, baddi, badmer, krishangarh, Kanpur, sikandrabad,Bikaner, Kota, Udaipur, Bhilwara, Alwar, Agra, Meerut, Aligarh, Allahabad, Banaras, Mathura, Jhansi, Ghaziabad, Noida, Bareilly, Moradabad, Saharanpur, Uttar Pradesh, Punjab, Chandigarh, Jalandhar, Amritsar, Ludhiana, Bathinda, Pathankot, Patiala, Hoshiarpur, Himachal Pradesh, HP, UP, MP, Shimla, Dharamshala, Uttrakhand, Dehradun, Haridwar, Roorkee, Rudrapur, Rishikesh, Nainital, Udham Singh Nagar, Gwalior and all over India. As per the requirements of the patrons, we are presenting the best quality array of DGPS On Rent to our prestigious clients. This rental service is available with various options. Moreover, we believe in offering complete satisfaction to the clients and for this, we provide rental service as per client need. 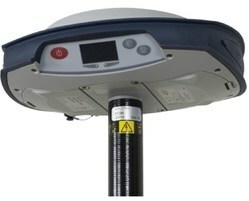 Looking for DGPS on rent in Gurgaon ?